Lots of short festive activities, jokes and video clips - all with a geography theme. 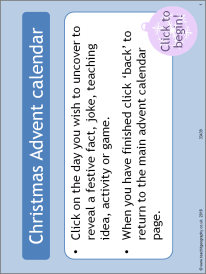 Perfect to use to round off a lesson or in tutor time in the run up to Christmas. I can definitely use this- thank you!